What’s a coulee? 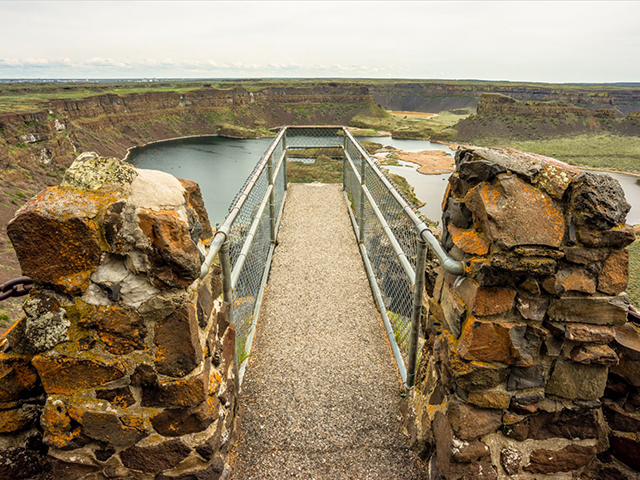 In this part of the country, it refers to the dry canyons gouged out by the Glacial Lake Missoula floods that roared through here several times up until around 13,000 years ago. This breathtaking landscape will leave you wondering if the rest of the world really exists. It might happen when you gaze up at the expansive blue skyline or after you wind through a coulee and its shadow withdraws from your windshield. Or it might happen when the clean smell of sagebrush hits you like a tonic after a dusty hike to a desert plateau. It could happen when you jump off a boulder into a deep blue lake and are shocked by how warm it is. Find fishing lakes, desert hikes, little shops, dusty museums, willow-shaded parks and the fields that grow your food. Take a boat to a lakeshore campsite, or stay the night in a cowboy town. 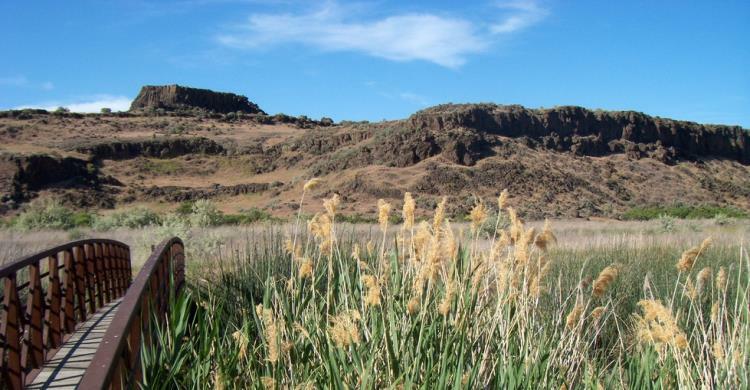 Once you experience the world of the Coulee Corridor, you will never forget it and always want to return. The refuge is especially known for its birdwatching and fishing. A drive of 22 miles will take you through some of the most dramatic landscapes on the refuge but there is plenty of outdoor activity from which to choose. Canoeing, hiking, fishing and hunting are all popular things to do here. The Potholes are the defining geologic feature of this eastern Washington park. A series of Ice Age flood-carved depressions in the earth, combined with the dynamics of the O’Sullivan Dam, created hundreds of tiny islands surrounded by “pothole” lakes. This is one of the great geological wonders of North America. Carved by Ice Age floods that long ago disappeared, the former waterfall is now a stark cliff, 400 feet high and 3.5 miles wide. Steamboat Rock State Park is a 3,522-acre camping park with 50,000 feet of freshwater shoreline at the north end of Banks Lake. 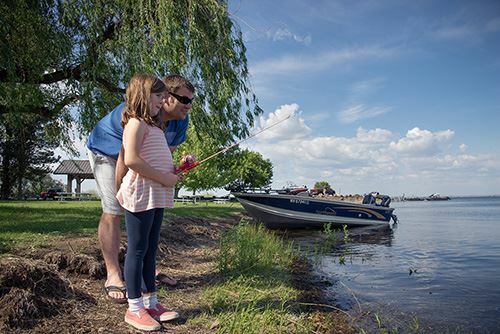 A sandy swimming area and boat launches make the area a favorite for visitors who enjoy water-play and want respite from the hot, summer sun. 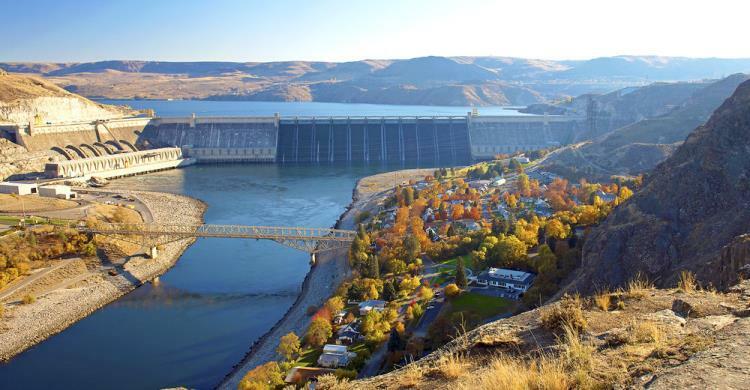 Built during the depression-era between 1933 and 1942, Grand Coulee Dam is the largest concrete structure ever built and remains one of the engineering marvels of the modern world. A 50-minute guided tour is free of charge to the public and available only on a first-come, first-served basis. 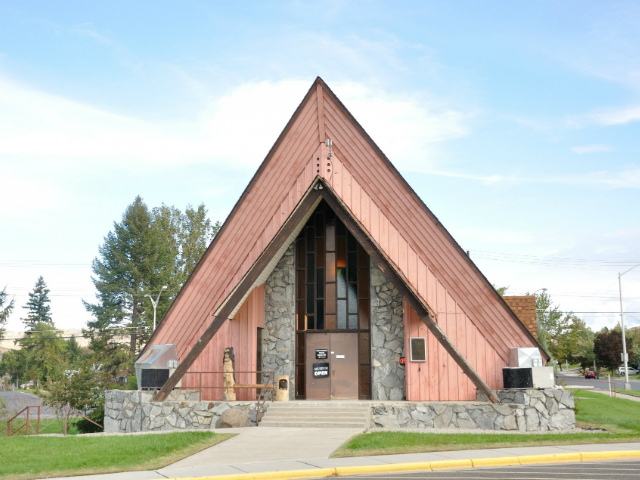 The Museum is filled with history collected by the Colville Confederated Tribes (Moses/Columbia, Wenatchee, Okanogan, Entiat-Chelan, Methow, Nez Perce, Palus, Nespelem, Colville, San Poil and Lake). Located in north central Washington State, the town of Omak has a population of about 4,650 and is the largest town In Okanogan County. 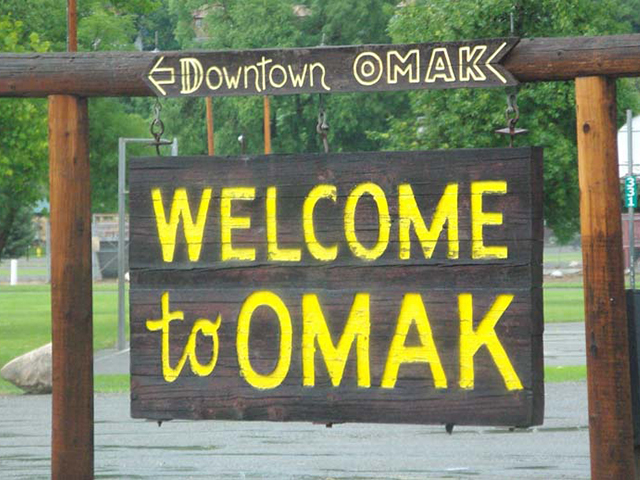 Omak is the home of the World Famous Stampede Rodeo and Suicide Race and Indian Encampment. This event is held the second weekend of August, since 1933.